As active members of San Francisco’s music community, Scott Franklin, Jesse Olswang, Eric Alonzo, and Chaz Anton found in each other an instant musical connection, recording their first song together the first time the four ever found themselves in a room together. Like a chemical reaction each member a catalyst for the others creative drive. Logging in hours and hours of recordings over 2011, they have selected a batch of songs for a record to be called Static in the Minds Eye, chapter 1. 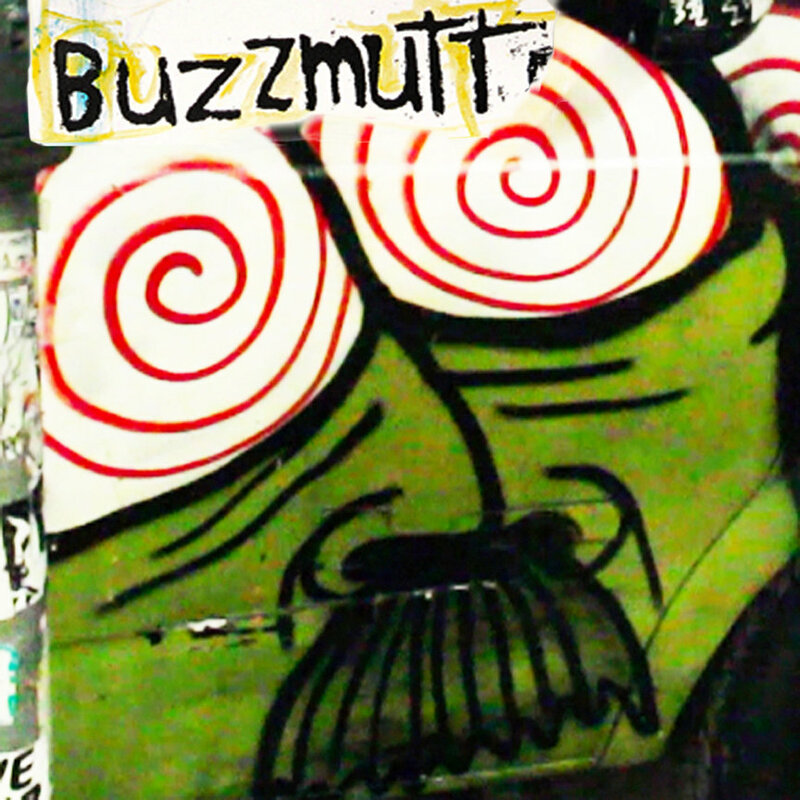 Static in the Mind’s Eye, Chapter 1 is the first full length album from SF’s experiemental noise rock band Buzzmutt. Lyrically, The songs in this album unfold from one into the next as a cryptic tale, a modern, urban Hero’s Journey. Musically, the album itself is also experienced as a journey, complete with dark and winding paths, a few thunder storms, strange characters, some pleasant surprises….and at least one or two alien beings. The journey begins from a place of shedding the past and moving forward. Themes of newness and higher awareness take us further into the story as things get more complicated; exploring ideas of language and dreams, until we are delivered at the end of the sonic adventure- perhaps, seeing and hearing things just a little differently than before. Reflected in the album, as well as in Buzzmutt’s live performances, Franklin’s Vocals call out to us from the ocean of sounds, offering fragments of poetry to guide the journey. Jesse and Eric’s intricate and pounding rhythm section allows scott and chaz to explore the elements of feedback; noise; and chaos, employing circuit bent electronics and exploring the elements of feedback all weaved within and around buzzmutt’s unique style of tightly structured songs. Most of this album was recorded in early April 2011 in Emerville, CA by Varun Kejriwal. The rest of the album was recorded by Jesse Olswang at Off Deep End Studios in San Francisco, where the band pieced together and meticulously layered the richly textured sounds of the album over an 8 month period.